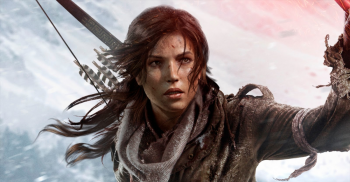 Rise of the Tomb Raider is up for nine total awards, including the top honor of Game of the Year. The Academy of Interactive Arts & Sciences has revealed the list of nominees for the 19th D.I.C.E. (Design, Innovate, Communicate, Entertain) Awards, with Rise of the Tomb Raider leading the pack with nine total nominations, including one for the top honor of Game of the Year. Other nominees for that category include The Witcher 3: Wild Hunt, Bloodborne, Fallout 4, and Ori and the Blind Forest. Other titles up for multiple awards are The Witcher 3: Wild Hunt (eight), Ori and the Blind Forest (six), Fallout 4 (five), Her Story, The Order: 1886 and Star Wars Battlefront (four each), Batman: Arkham Knight, Destiny: The Taken King, Rocket League, Lara Croft GO, Life is Strange, and Undertale (three each). "Looking at the nominees for the 19th Annual D.I.C.E. Awards, I am especially impressed by the broad range of titles catering to gamers' increasingly sophisticated and diverse tastes," Martin Rae, president, Academy of Interactive Arts & Sciences, said in the press release. "It is always gratifying to watch our industry and its many artists and craftsmen grow and continue to challenge and thrill audiences." The winners will be announced on Thursday, February 18, at the conclusion of the 2016 D.I.C.E. Summit in Las Vegas. The full list of nominees can be viewed here. In addition, the D.I.C.E. Awards ceremony will honor Satoru Iwata as its Lifetime Achievement Award recipient. And, as previously announced, Hideo Kojima will be honored as the newest member of the AIAS Hall of Fame during the ceremony.